If you’re a bargain hunter as much as a sun seeker, sidewalk sales on holidays are appealing. Luckily, there are two outlet malls near Fort Myers Beach as well as two mall entertainment complexes. Sanibel Outlets is offering several promotions over the Labor Day 2017 weekend. 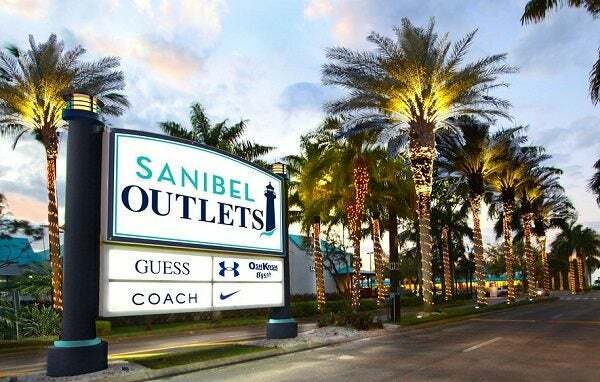 Sanibel Outlets is just to the north at 20350 Summerlin Road in Fort Myers. This attractive center features more than 40 designer brands such as Brooks Brothers, Coach, Guess, Levi’s, Nike and Polo Ralph Lauren. Their Labor Day Sidewalk Sale takes place Sept. 1 – 4. There are also two special promotions this week. 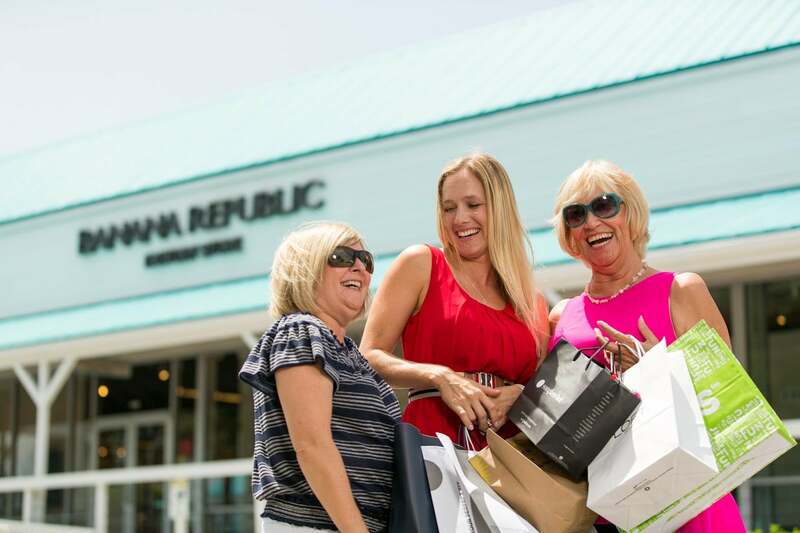 Spend $125 at any store or combination of stores and receive a $25 Sanibel Outlets gift card (one per person). And, if you donate blood during the Lee Health Blood Center drive from 10 a.m. to 2 p.m. that day, you will receive a $10 Sanibel Outlets gift card. Stop by Shopper Services (near the children’s playground) to get a free coupon book with more than $450 in additional savings. And, from Sept. 1 – Oct. 15, make a $1 donation at Shopper Services and receive a 25% off coupon good for one item at any of the outlet’s participating retailers. 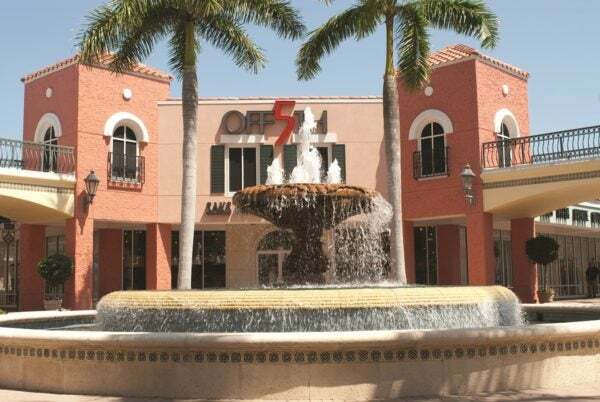 Boasting more than 140 designer and brand name stores, Miromar Outlets has been voted “Best Factory Outlet” and “Best Shopping Mall” in Southwest Florida 18 years in a row. Stores include Bloomingdales, Kate Spade, Lucky, Neiman Marcus Last Call, and Saks Fifth Avenue Off 5th. Located at 10801 Corkscrew Road in Estero, Miromar Outlets will also hold a Labor Day Sidewalk Sale from Sept. 1-4. Bring this voucher to the Visitor Information Kiosk, Eddie Bauer Outlet or Mall Office to receive a free VIP Savings Brochure for additional discounts. While you’re in Estero, stop by Coconut Point at 23106 Fashion Drive. This complex has more than 140 stores, including Dillard’s, Target, Apple Store, Michael Kors and Barnes & Noble. When you get hungry, there are almost 30 restaurants to choose from. You can also swing by Gulf Coast Town Center at 9903 Gulf Coast Main Street in Fort Myers for more deals. This complex features dining and shopping plus a Regal Cinemas 16 and IMAX theater. Stop by the center’s Market Plaza on Sept. 2 from 5 – 9 p.m. for a fun, family friendly event featuring live music from Spark Notes. There will also be free painting and balloon twisting from 5 – 8 p.m. Foster’s Grille Fort Myers will be serving burgers and hot dogs in Market Plaza for only $2. Visit Rocket Fizz Fort Myers for a free tasting of their unique sodas. 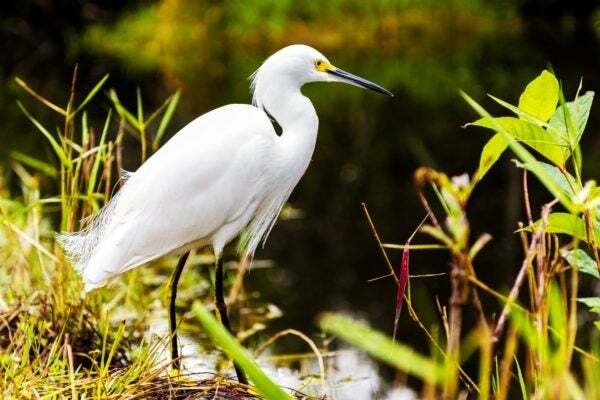 GameTime will hold a Hoops Challenge beginning at 7 p.m.
A snowy egret looks for a bite to eat in Everglades National Park. If you would rather discover the Everglades than a bargain pair of sandals, enjoy $20 off per person with the Beach to Swamp Special offered by Everglades Day Safari. This naturalist-guided tour includes transportation from Fort Myers Beach, a 60-minute airboat ride, wildlife drive in Big Cypress National Preserve, nature walk, 60-minute boat ride through the mangroves, and lunch.